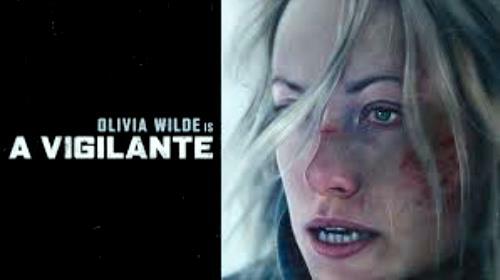 Olivia Wilde in her career has long played the tough cookie who crumbles just in time for the man to come in and rescue her. This time in A Vigilante, Wilde is the avenger of domestic abusers, a serious, rigid and ascetic one. Her Sadie is a one-time victim whose ex-husband pulled a disappearing act after he killed their young son in upstate New York. Many captivating scenes show Sadie soberly engaging with an abuser, reciting to a rotten husband or rotten mother what they have done and how they are now going to give up their fortune and leave their “loved” ones behind forever. Wilde with her dead, beady eyes gives a performance you can call full self-punishing Joaquin Phoenix Method, and you can say she’s equal to him. But the film’s modus operandi is to jump cut beyond the violence and show the aftermath, which takes away from the brutal immediacy. As I say that, it sounds like I’m only in the film for the exploitation and writer-director Sarah Daggar-Nickson is avoiding exploitation at all costs. That’s not what I’m saying, though (however, bloodhound viewers who only want action, action, action are going to be disappointed). To me, the film cutting takes away from the core primal commitment of Wilde to not show everything. I believe Wilde has transformed into a predatory beast, and I want to see all of those crucial moments. We get flickering teases of that within her. The group survivor meetings that Sadie attends are among the most compelling passages, but they too turn out to be a tease: We start to realize the film is told slightly out of order. 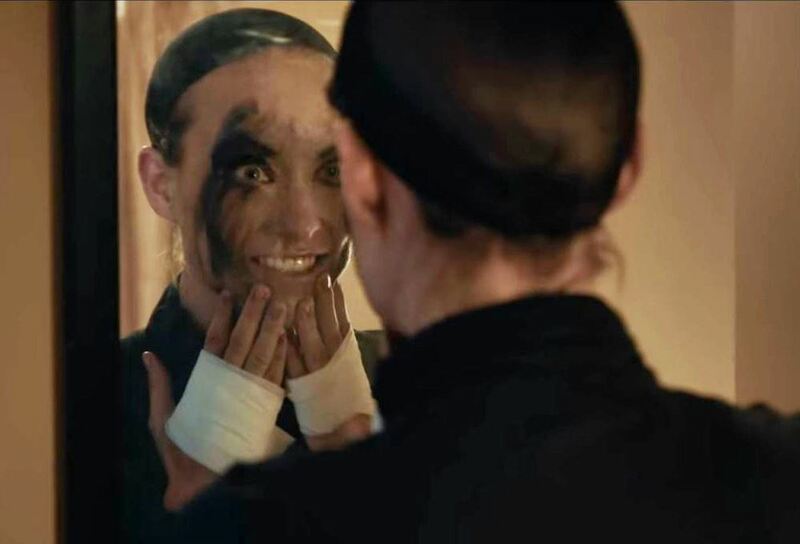 Ultimately, it doesn’t matter that events are non-linear since everything that happens to Sadie seems to be one unceasing, harsh experience of entropy. The events are sorted out in the viewer’s mind by the end, but to me the editing technique felt like unnecessary juggling. The best scenes of “A Vigilante” hurt and makes you reckon with Sadie’s cause, it has you meditating on how violence ravages the soul. As you can tell, I’m not agreeable with all of Daggar-Nickson’s choices yet I think she’s a bona fide filmmaker we are going to hear more about. There’s too much strong material here, some of it akin to “You Were Never Really Here.” Flaws aside, “A Vigilante” is not a film you want to ignore, for one specific reason at the least. Wilde finally gets to act out one hell of a role. Film Cousins: “Ms. 45” (1981); “Enough” (2002); “Revenge” (2018, France); “You Were Never Really Here” (2018).